Product prices and availability are accurate as of 2019-04-18 03:31:44 UTC and are subject to change. Any price and availability information displayed on http://www.amazon.com/ at the time of purchase will apply to the purchase of this product. Are you looking for a reliable tactical bag for your next outdoor expedition? When it comes to exploring the wilderness and uncharted territories, a simple bag is definitely not enough. You're meant to be accompanied by a durable and dependable bag that can store all your clothing, food, and outdoor essentials for all kinds of scenarios. But not all tactical bags are created equal, especially if you're hoping for that backpack to survive extensive use, rocky paths and harsh weather. 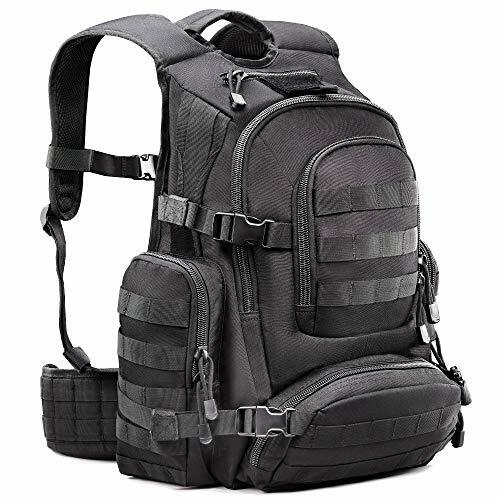 Keep up with your mission's demands with a tactical backpack that understands your needs and delivers! 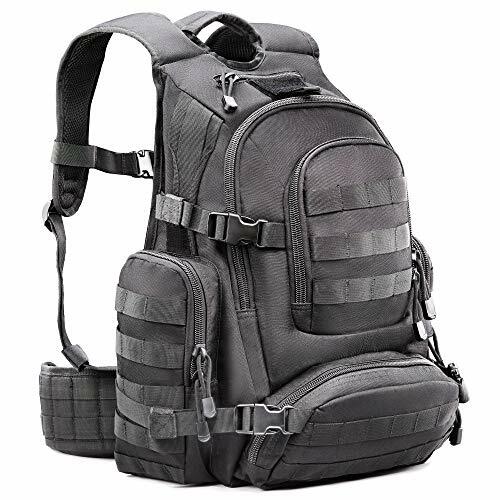 Tactical Era's Outdoor Backpacks cut above the rest of military rucksacks in the market. They're made from 1000D Nylon for superior durability that can withstand the onslaught of the wilderness and harsh environments. You don't have to think twice when packing everything you might need for your trip-our bags boast 50L capacity allowing you to bring all your travel essentials with peace of mind. 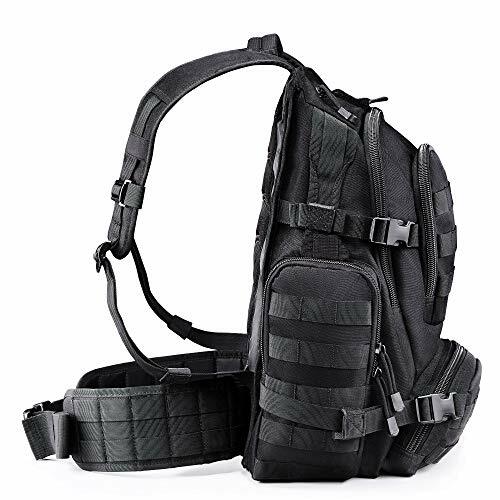 Use the molle webbings to attach pouches, kits, flashlights, water bottles and rifles for easier access. Our creation features a foam back panel, adjustable height sternum support belt and dual density closed-cell foam shoulder straps to provide superior comfort when you're up for long hikes and difficult trails. Our padded back panel provides cushioning for your back and upper hips protecting you from impacts and soreness.
? The back panels can also be used to store hydration bladders of up to 2.5 liters. Getting ready for your next outdoor expedition? Only choose the best military backpack to accompany you! 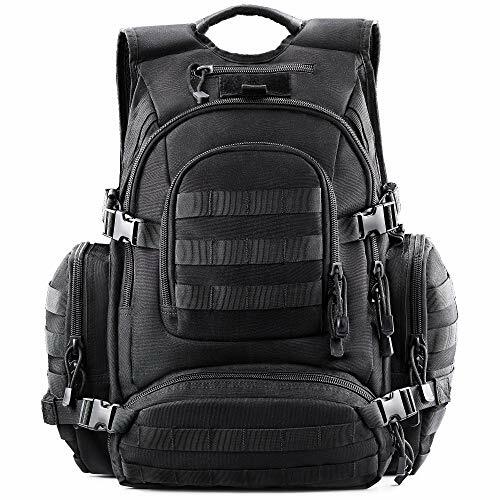 Add Tactical Era's Tactical Backpack to your Cart NOW!  EXTREMELY DURABLE -Tactical Era's creation is a reliable companion against the daily onslaught of the wilderness. Your new tactical backpack is made from heavy-duty 1000D Nylon that boasts exceptional strength, abrasion resistance, pleat retention, and insulating properties. 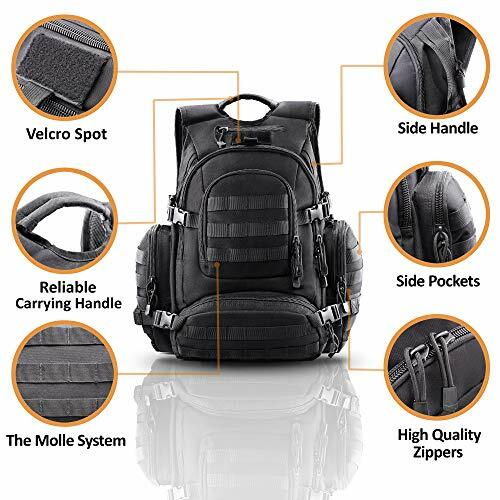  SUPERIOR CARRYING CAPACITY - With 50L of storage capacity, this dependable military backpack is big enough to store all your travel, hiking, survival, hunting, military and camping essentials with plenty of room to spare while keeping your gear protected. 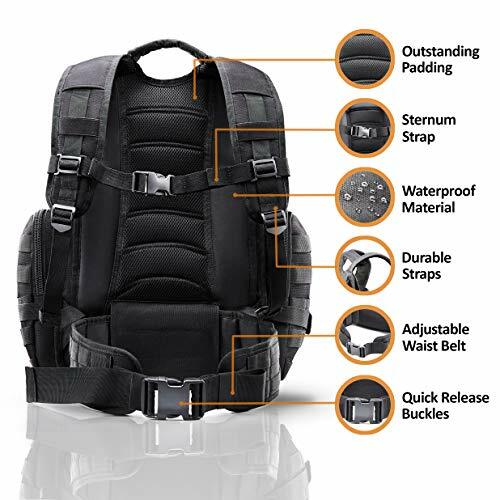  COMFORT BEYOND MEASURE - Our bug out bag sits comfortably on your upper body ensuring cushioning and load relief for your long hikes and bumpy journeys. The adjustable sternum straps also provide unparalleled breathability and impact-reduction. 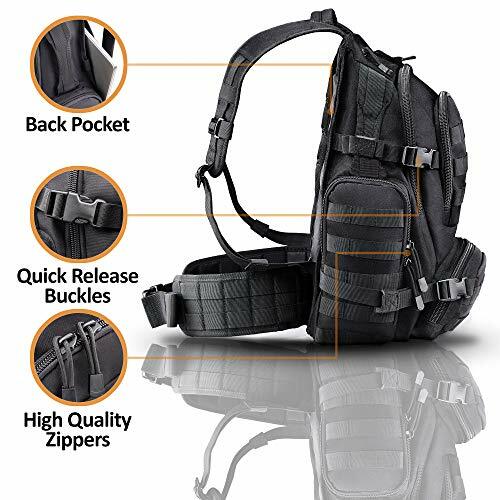  PACK MORE - Each of our rucksack bags features Molle Webbings designed to be used in combination with other equipment. This innovation will let you attach and mount your accessories, kits, and pouches for secure and adaptable on-the-go access.  100% SATISFACTION GUARANTEED -We're so confident that you'll make the most out of your hiking and outdoor experience with our military bag that we offer 12 months money back guarantee should you encounter any issues. Order now risk-free!